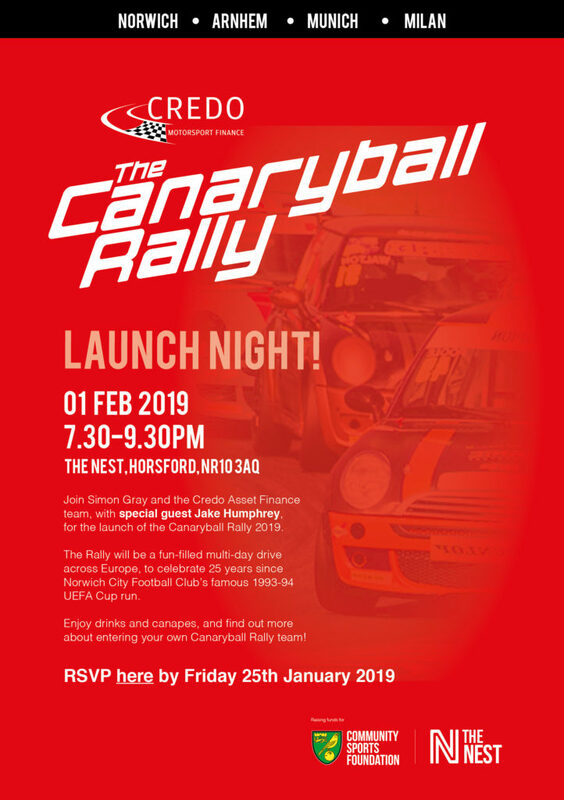 Credo Asset Finance have teamed up with the team at Norwich City Community Sports Foundation to organise the CanaryBall Rally Launch Night event at The Nest, Horsford, NR10 3AQ on 1st February at 7:30PM. This event is completely FREE to attend, includes a welcome drink and canapes, with special guest Jake Humphrey in attendance. Credo Asset Finance are on the lookout to recruit 20 teams to join them as they travel across Europe and visit the three stadiums that Norwich City Football Club played in during their famous 1993/1994 UEFA Cup Run. 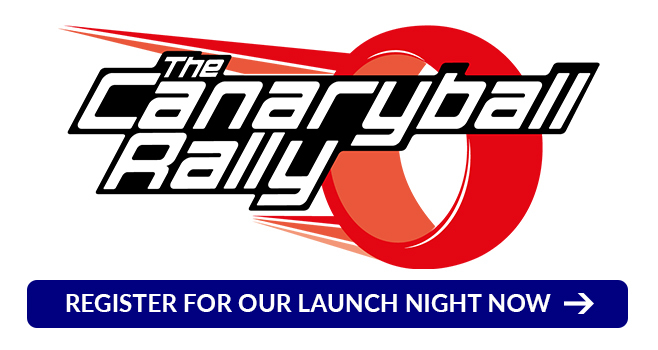 Named the Credo ‘Canaryball Rally’ the teams will start in Norwich, before driving to Arnhem in Holland, Munich in Germany and finally Milan in Italy all in the aid of their chosen charity Community Sports Foundation and their #BuildTheNest campaign. If you are interested in this event and would like to know more then please come to our launch evening on 1st February at the Nest. Please click the button below to register for the launch night.